This July saw the 1st year anniversary of our programme on Kalangala, one of the Islands in Lake Victoria, Uganda. 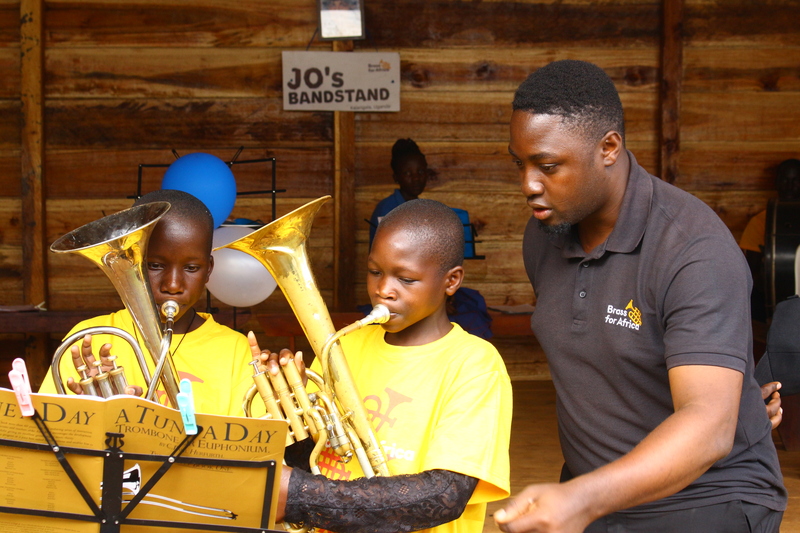 Funded by the Elton John Aids Foundation (EJAF), Brass for Africa partnered with The Mlisada Organisation to deliver a music, lifeskill and HIV awareness programme to children and young people on the island. Kalangala has the highest percentage incidence of HIV infection in Uganda at an estimated 27-29%of the population. 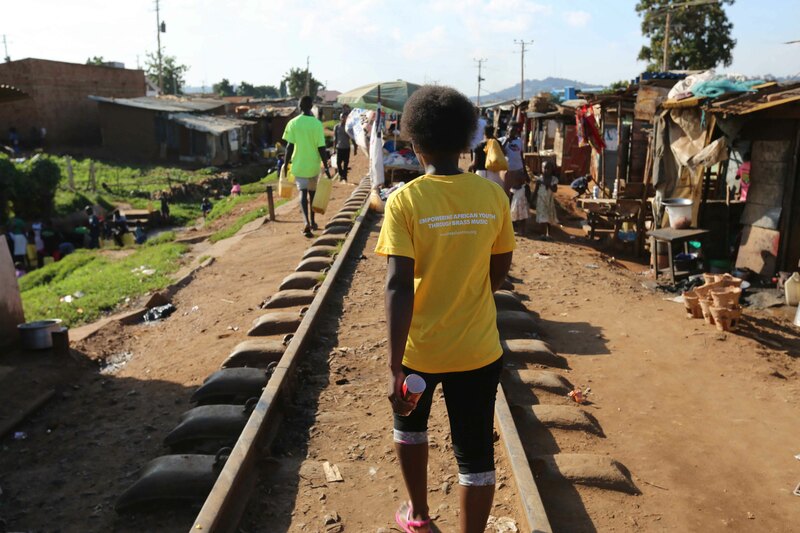 Through our interventions we have been able to make a significant contribution towards EJAF’s goal of an AIDS free generation and the reduction of stigma associated with the condition. Brass for Africa’s monitoring and evaluation process has confirmed that we have increased the comprehensive knowledge of HIV/AIDS amongst the youth by well over 20% and reduced the stigma of those living with HIV/AIDS by an impressive 18%, all of this in our first year! 45 Km from the old capital city, and home to Uganda’s international airport, Entebbe and situated in Lake Victoria is Kalangala Island. Reached by a three-hour ferry crossing this beautiful place is home to many amazing children and young people. The community is however ravaged by HIV and AIDS with a reported 29% of the Island’s population infected. This leads to misery, stigma and without hope the children and young people find little pride. Until last year, through Brass for Africa, The Elton John Aids Foundation and The M-lisada Organisation something new happened in these children’s lives, and that was music and hope! 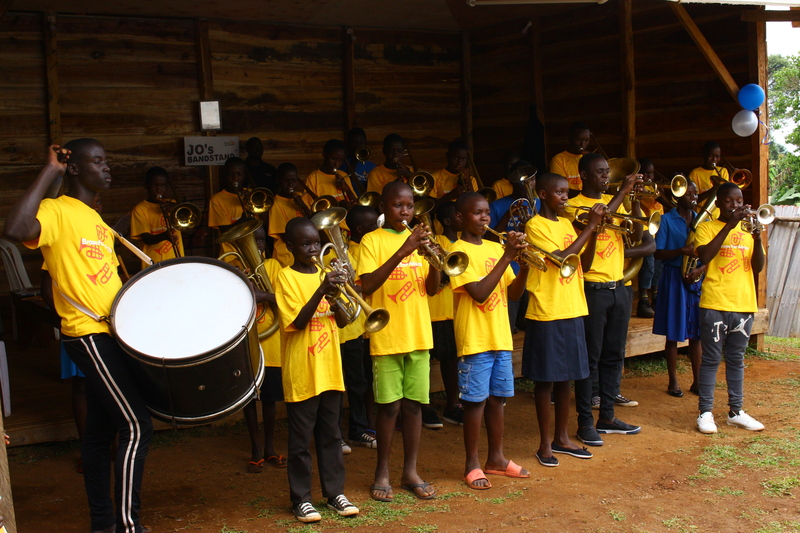 Partially funded by a grant from The Elton John Aids Foundation (EJAF), Brass for Africa started music classes alongside regular workshops focusing on health awareness, sensitisation and knowledge of HIV and AIDS. These classes and workshops saw more than 200 children coming for the music, LifeSkills and health awareness training. The community really got involved, including the local primary and secondary schools. On the 14thof July, at the end of the grant period of one year, a celebration event and concert was held where testimony upon testimony where given by the children and community members thanking Brass for Africa, EJAF and M-lisada for this life transforming opportunity. The Head Teacher of St Bishop Dunstan School praised the music classes and HIV workshops highlighting how the girls in the school have gained pride and taken great pleasure in protecting their lives. The Head Teacher also said that the number of children attending school had increased since the programme has started. The children now believe that they can help by teaching others about the danger of not using protective measures against HIV/AIDS, and also how to help and love those who are HIV positive. More than 200 children finished the programme as Ambassadors against HIV/AIDS. Almost 70 children gained the skill of reading and playing music and on 14thJuly as the programme was celebrating a year and this milestone achievement, youth and children debated with much emotion on HIV/AIDS and the stigma associated, and the brass band entertained and engaged the many guests. This programme has changed lives in Kalangala and with more support we can reach out to more children and communities. Music can change this world that we live in and make it a better place, I have seen this in Kalangala.